We are getting there folks. It is the end of the year in Spanish class and we can see the light at the end of the tunnel. The last couple weeks for us always include strange schedules due to assemblies, incentive parties, finals and everything else. I used to think that putting on a movie was a cop out move for teachers who just can't at the end of the year. (If it is The Lion King in Spanish like I watched every year in high school). But once I found culturally rich films that can enhance my instruction in Spanish, I realized it can be a win win for everyone. Plus, for those of us with many preps, having staggered exams and one class watching a film at the end of the year can be exactly what we need to get those writing assessments graded. There are a lot of films out there that are perfect for upper level students. (Such as The Ultimate List of Movies to show in Spanish class & 5 New Documentaries to show in Spanish class). 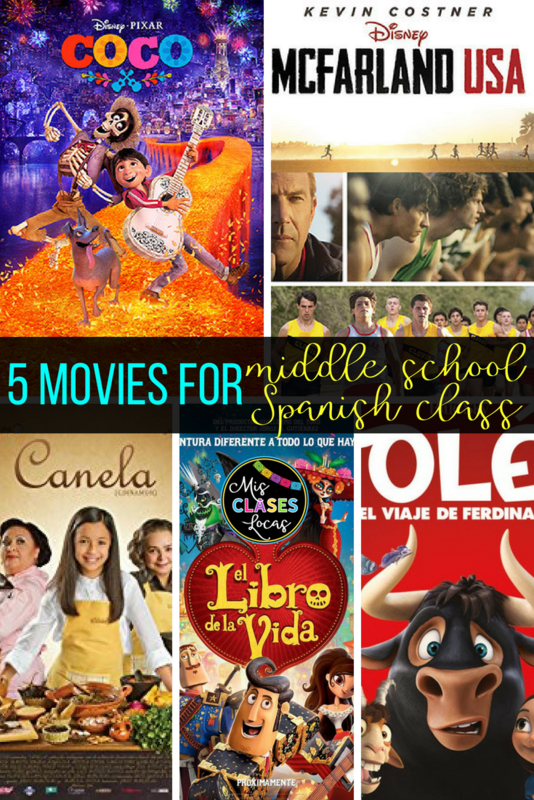 So, I wanted to specifically focus on films for middle school or lower level Spanish. I know that as a treat at the end of my quarter long exploratory classes, we always watch a film, since I do not have to give that group a final. Depending on the group will decide which audio and subtitles I use. Here are five films that I have personally shown in Spanish class and would recommend for lower level students. (As with everything, please preview to make sure that it is something that would be appropriate with your school culture). This newer movie is set in Spain and based on the characters from the classic children's book. I have a newer guide which can be found here. It goes great with the book Bianca Nieves y los 7 toritos and my level 2 class just watched it after finishing the book. They will be doing a speaking assessment to compare the book, new film, as well as original Disney animated short with the same name. Another movie to teach about Mexico and the Day of the Dead, that is a little more lighthearted is The Book of Life. 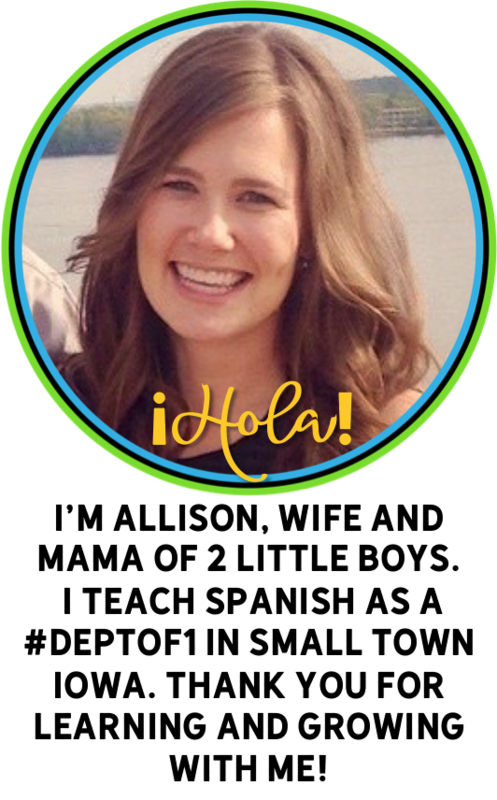 I have a basic guide for novice Spanish. Kara Jacobs has great materials for upper level students. Another great film set in Mexico is Canela. I hear the movie is available on Pantaya. Otherwise it can be hard to find a copy to purchase. You may be able to find one at your local library if you ask. There are resources for the movie here. 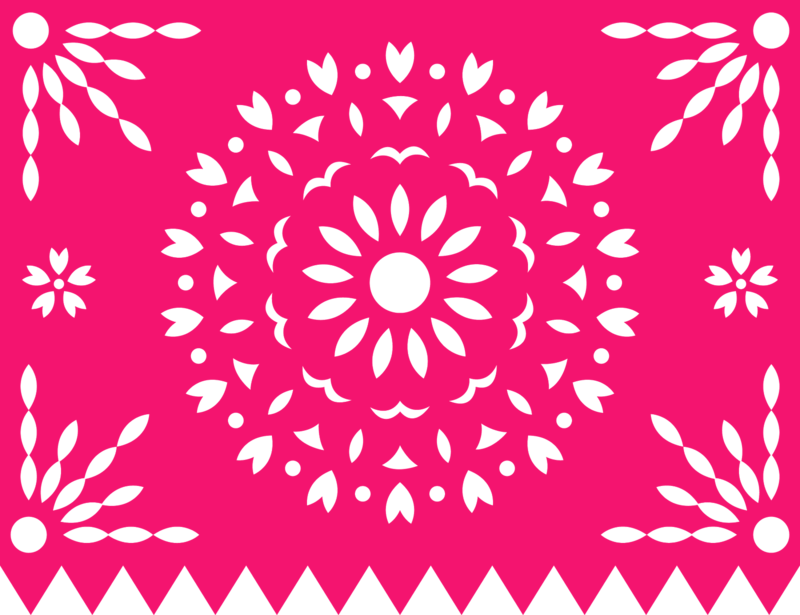 It is an appropriate movie that ties in many common Spanish 1 themes such as family, food, and the house, while centering around the culture of Mexico and mole. This feel good Disney sports movie is set in the United States, but follows the story of Mexican immigrant high school students who go out for cross country. 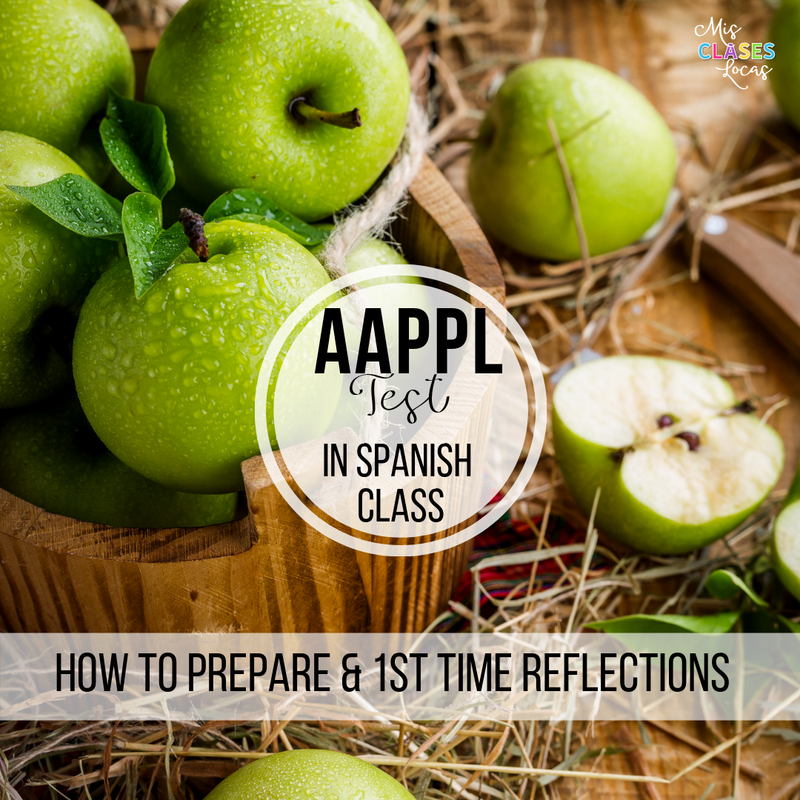 There are many connections to Spanish class such as a quinceñera, tamales, migrant farming, the immigrant experience, and much more. It has a great positive message and my students have loved it. If you are looking for more, here is a list of G & PG movies from Spanish Mama. What did I miss? 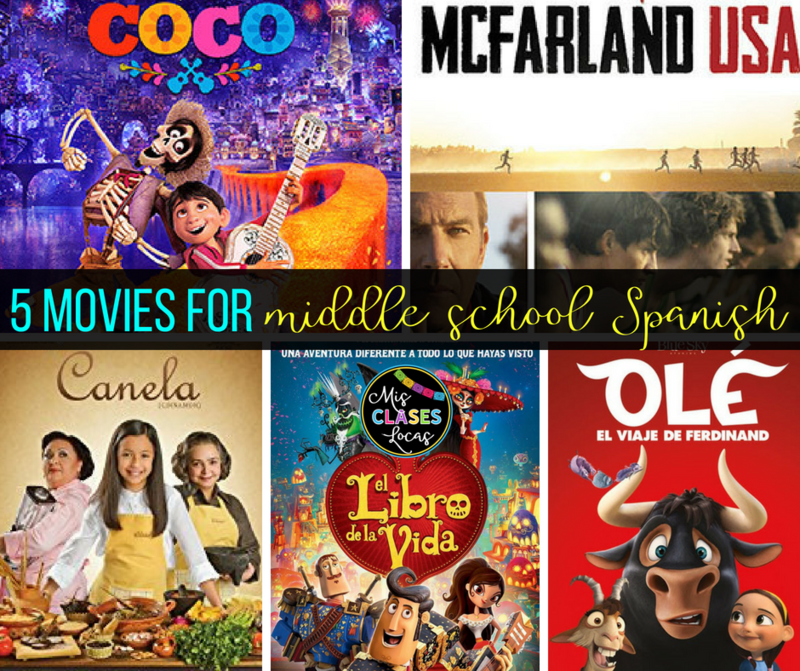 What are your favorite movies to show with middle school or lower level Spanish class? Please share! If you are looking for more movie ideas, check out my Pinterest board!